Changing the world so that everything is favourable for you is impossible, but it will be possible to create more favourable conditions by changing your perspective on things. 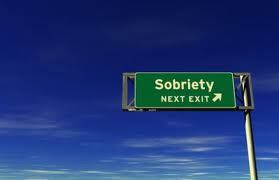 The way you view your life in sobriety will be more important than what actually happens to you. Below are just a few great examples of how changing your perspective can make things better. A self-fulfilling prophecy refers to how making a prediction can cause the event predicted to occur. If you expect life in recovery to be all about sacrifice and struggle, you are likely to experience things this way. This is why it can be a bad idea to focus too much on the idea of ‘giving something up’ because this creates the perception that staying sober is just something that needs to be endured. The reality is that sobriety is all about finding a much better way of living – it is not about giving something up but about gaining something better. If you can start to perceive things this way, it will give you the motivation to actually create the conditions that lead to the happiness you deserve. It also means that staying sober becomes almost effortless because you can so clearly see the benefits of doing so. You could win the Euro Millions lottery tomorrow and still end up feeling miserable in a few months, or you could have a very modest income and feel happy most of the time. It isn’t how much you possess that is the key to happiness, but how grateful you are for all the good things in your life. If you lack gratitude, you might never be able to find true serenity because you are always going to be seeking something better. It seems to be part of human nature to take things that are familiar for granted. This happens because the brain turns experiences that are repeated frequently into habits so people end up just doing a lot of stuff automatically. The problem with this is you can end up spending most of your life on autopilot where you do not really appreciate anything that is happening to you. It can lead to depression and dissatisfaction in life. There is already a lot of good stuff in your life, so you just need to learn how to appreciate it more – the fact that humans are alive at all is a mind-blowing miracle. You can train your mind to perceive more of the good stuff in your life. One effective technique for doing this is to keep a gratitude journal. This is where you take a minute or two each day to count your blessings. Life can feel incredibly unfair at times. You may be trying your best to build a better life, but then things start to go wrong through no real fault of your own. It is tempting to become disillusioned at these times and start to lose motivation for sobriety; after all, if life is going to be tough anyway, you might as well go back to drinking or using drugs. This type of thinking could lead you back to addiction, and it may cause you to lose your opportunity to live a much better life. A much better perspective on difficult times is to view these periods as the opportunity to grow. The reality is that we do not tend to develop much when things are going well for us; it is only when the going gets tough that we are forced to develop our skills and coping strategies. If you monitor these difficult periods, you are likely to notice that they actually help you build a better life. You can perceive the bad days as a good thing, making things much easier to manage. The fact that the future is unknown can make life appear a hostile place if you have a negative perspective on things. The truth is that it is this uncertainty that makes life so difficult; can you imagine how dull it would be if you always knew what was going to happen next? The other great thing about uncertainty is that what the universe delivers into your path is often much better to what you were originally expecting. One of the other good reasons why uncertainty is your friend is it means you do not need to feel so responsible for everything that happens. If you learn to have faith that doing the right things will usually lead to positive results (even if the results are not what you expected), it means you can approach your future with more confidence and peace of mind. The ‘principle of charity’ is the suggestion that you try to perceive the actions of others in the best possible light. For example, if your friend gets angry with you then you could decide it is because she/he dislikes you or because they are just having a bad day. The principle of charity means you would choose the latter interpretation. You are never going to be able to read the mind of others – you can never know what they really think of you – but using the principle of charity means you will find it much easier to get along with other individuals. If you expect good things to happen then it will keep you motivated so that you are able to take the actions needed to make these good things happen. There does not have to be anything magical about positive thinking; it is a rational way to approach life. If you expect the worst to happen, it will be a huge drain on your motivation and it can lead to a self-fulfilling prophecy as well. The outcome of most events is either going to be positive or neutral, yet anxious people will always predict a negative outcome. This obsession with the negative outcome can make it more likely to happen because it means accepting defeat even before it happens. It also means that people will be so overcome with worry that they cannot think rationally so they find it harder to make good decisions – thus increasing the likelihood of a bad outcome. If you treat failure as part of the road to success, it means you can learn from your mistakes more easily and feel less disheartened when things go wrong. The reality is that all successful people will have experienced failure many times, and it is their ability to bounce back from the mistakes that make them who they are. If you are unable to perceive failure in a positive way, it will be difficult for you to achieve anything major in life. This is why there are now many large companies as interested in how job applicants deal with failure as they are in their qualifications.